Party into the night with After Party eye shadows, they are a unique creamy eye shadow containing a formula that dries in seconds. So they are perfect for those of us that have a busy lifestyle and don`t have time for a full beauty regime every day. They are so easy to use with no mess, just one stroke of the wand and you have applied your eye shadow! Wouldn`t it be good if every thing could be this easy? Intensify your eyes by choosing from 2 different shades, adding depth and dimension to your eyes. After Party eye shadows make a big impact, with a crease free effect, lasting all day long and even into the evening. This eye shadow is so easy to use. 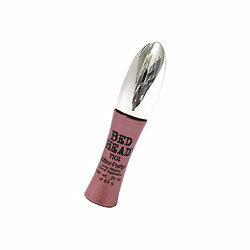 Just twist the wand and apply to eyelid. Giving you the coverage you need in just one application!